SustainableWork: Congratulations new University of Wisconsin System President Dr. Ray Cross. Congratulations new University of Wisconsin System President Dr. Ray Cross. Ray was selected by the UW Board of Regents yesterday and will soon take charge of the operation of all 4 year and 2 year campuses as well as the UW Extension and Colleges. In addition to a distinguished academic career, Ray has been an engineer and small business owner in the past. Importantly, Ray has direct, hands-on experience in the kind of work we are doing in regional food systems. 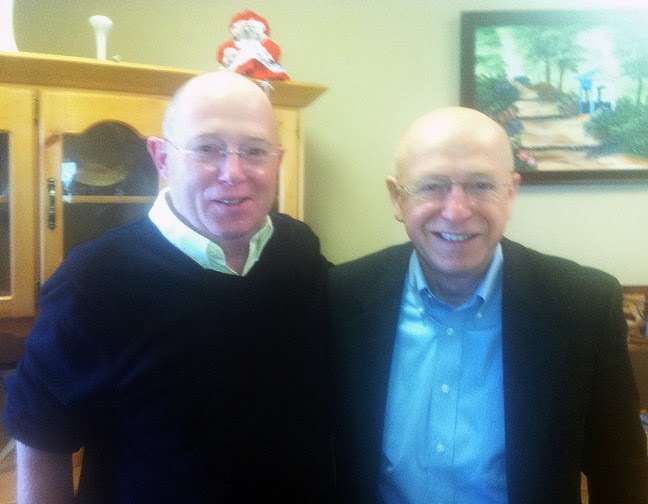 I had a good long discussion with Ray about our Innovation Kitchen work when he visited us in Iowa County (photo). I also had the opportunity to talk about how to deploy our Innovation Kitchen business model with Ray later on at his UW office. Ray will have big agenda items to deal with as UW System President, but I'm confident we have a knowledgeable, empathetic leader in place who knows the value of effective regional food systems to our state and our region. "Kale, Kale Everywhere, but Only Cheetos to Eat"